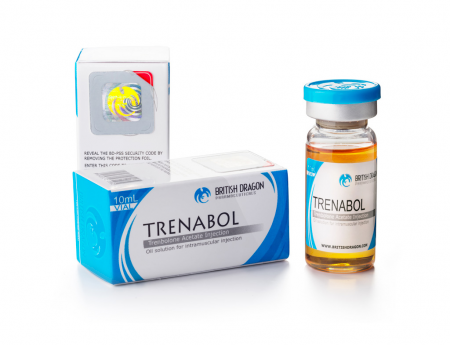 Tritrenabol - without a doubt, the most powerful of the available variations of drugs, designed to significantly increase muscle mass, coupled with an increase in physical performance. The mixture of trenbolones has an extremely high anabolic effect and has a powerful androgenic property. Bodybuilders and athletes using the drug note the extremely rapid growth of not only the volume of the mass, but also its quality without having to comply with the special conditions of the diet. Tri-Trenabol makes the muscles throughout the body elastic, dense and firm. Its popularity among professionals is a must for several other properties. This is the best choice for a beginner, as well as for an experienced athlete who participates in competitions. First, trenbolone, unlike many androgenic steroids, does not aromatize. Secondly - you can say goodbye to the risk of feminization or the appearance of unwanted fat deposits, because the Tritrenabol is not converted into estrogen. Third, trenbolone does not contribute to fluid retention in tissues. And, finally, thanks to its powerful androgenic effect, the drug does not give a chance of a syndrome of overtraining, speeding up the recovery processes in muscles and toning them. Tritrenabol is quite toxic, which makes it unfit for long-term use and limits the maximum duration of the course to eight weeks. The drug gives a serious burden on the kidneys, so when using trenbolone, it is mandatory to drink extra three to five liters of liquid daily. Buy Tritrenabol online on our website for extra mass recruitment. The best choice for such price. 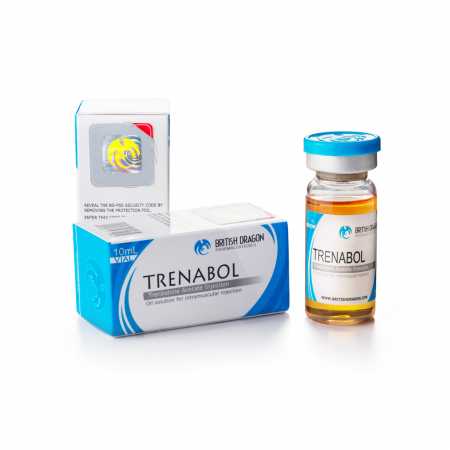 The standard dosage of Tritrenabol is about 230 mg per week, divided into two portions, although some bodybuilders during the last few weeks introduce themselves from one to two ampoules daily. The drug ideally works in combination with Winstrol, increasing the hardness and quality of muscle tissue, while significantly raising the strength index. To accelerate the set of masses, a combination of the form "trenbolone + danabol" can be actual. In addition, the combination of the drug with growth hormone gives remarkable results. Correctly selected nutrition, well-designed plan, sleep and correct dosage of the drug will give you an excellent increase in muscle mass and strengthen the body. Some athletes also note the possibility of headaches or loss of appetite when the dosage is exceeded. It should also be noted that Tritrenabol reduces the natural production of testosterone, therefore, at the end of the course, it is necessary to use drugs that stimulate its production. Possible side effects were acne, hair loss, increased libido, aggressiveness, for women - menstrual irregularities or lack of menstruation, deep voice, increased hair growth on the face and legs. Like all drugs this one has a number of side effects. In general, they are associated with an overdose of the drug. Before starting the course, contact your doctor for a plan of taking the drug and determining the dosage. Do not change it yourself. Also, read the list of the drug that are combined with this one. Exclude from the list all drugs that have a negative effect with this drug. You can safely buy Tritrenabol on our website. We only sell original products from official representatives. Our reputation as a seller is a guarantee of your safety.